Nothing captures the imagination quite like Tuscan country side, rolling hills dotted with olive groves, the straight lines of grapevines making their way down sun bathed slopes, cypress trees reaching finger like into the sky and hilltop medieval villages dotting the landscape. 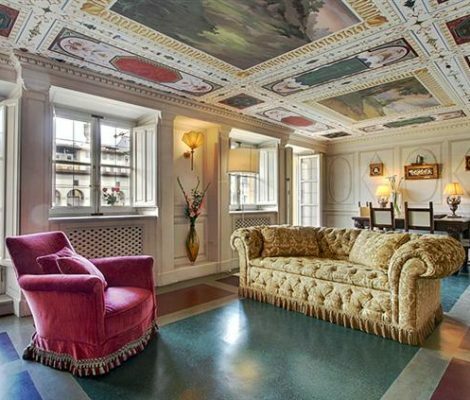 Painters have paid homage to the beauty of Tuscany for centuries and nowhere can this beauty truly be appreciated more than the Capital of Tuscany, Florence. 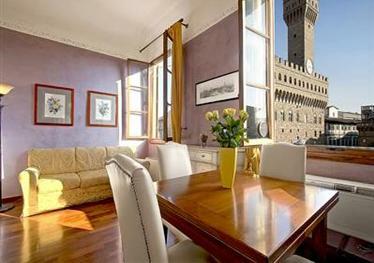 The Althea apartment, this week’s top accommodation, is located on the River Arno in Florence, capital of Tuscany, and is perfect for two people. Florence is one of our favourite cities to visit in spring. Artistic, romantic, fun, elegant… everything about this little big city puts you in the mood for relaxing and dreaming. 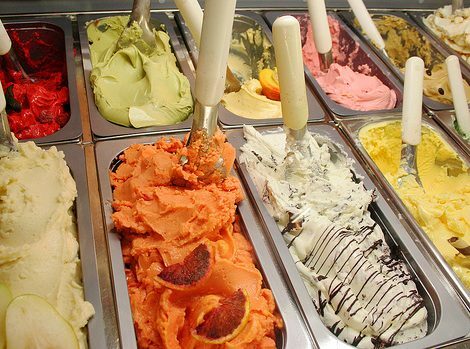 Here are some suggestions of things to do in Florence this spring that will delight all your senses. 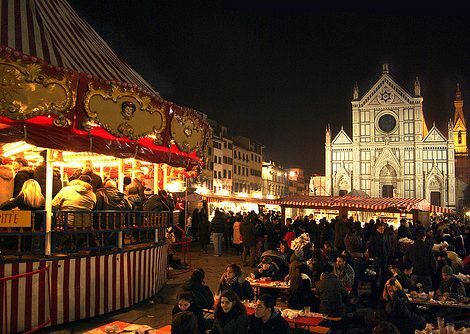 Christmas is almost upon us…..A festive atmosphere reigns in all the cities and lovely Florence is no exception. During the period just before Christmas, the city promotes numerous events that increase the magic and warm up those cold winter days. Thus, whilst the children play with their advent calendars, prepare to make a note of the countless activities scheduled for this December in Florence. 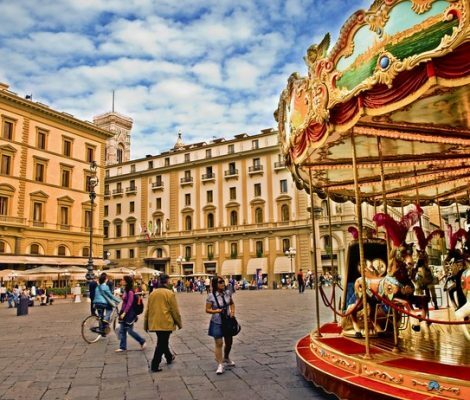 Florence is a great city for going shopping. 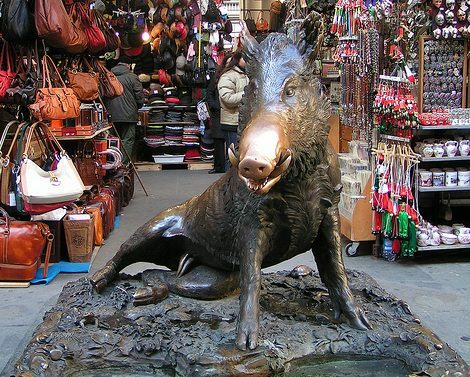 In addition to fashion stores, craft workshops and small shops, you will find numerous markets. 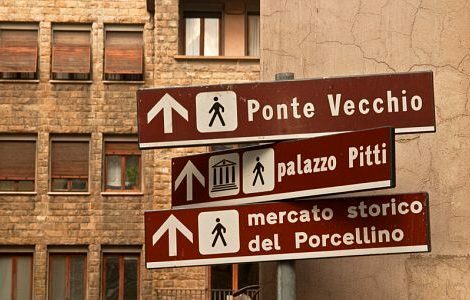 Food, clothes, typical products, leather items, antiques, etc are sold on the stalls in the Florentine markets at very good prices, especially if you’re an expert in the art of haggling. 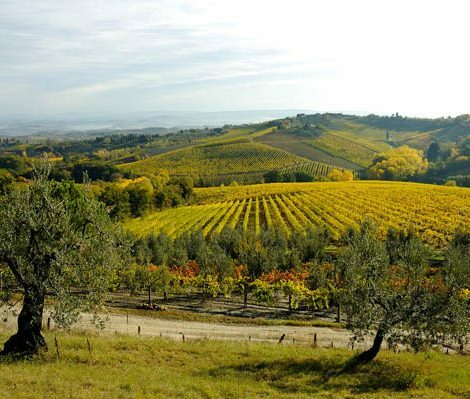 Chianti, with its strong and aromatic flavour, is one of Italy’s most prestigious wines. This deep-red coloured wine is produced in a region situated between Siena, Arezzo and Florence with marvellous landscapes and occupying a large part of Tuscany. 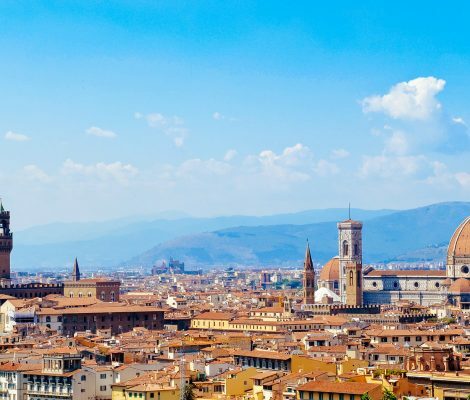 This summer you can enjoy a different kind of holiday and that is by wandering the paved streets of Florence, watching the city go dark sat on the banks of the River Arno with the Medieval Bridge, going shopping in their elegant stores and admiring the fascinating heritage of this Renaissance city.